We're going to The Barn Show! - Home. Made. Interest. 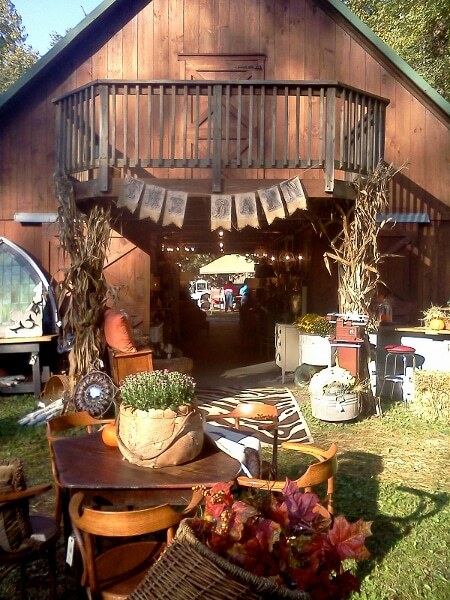 Home » Create » Home Decor » We’re going to The Barn Show! What is The Barn Show, you ask? I’m going to be honest, we didn’t know either until a few months ago. The Barn Show is located in Gambrills, MD and is only held three times per year, spring, fall, and winter. 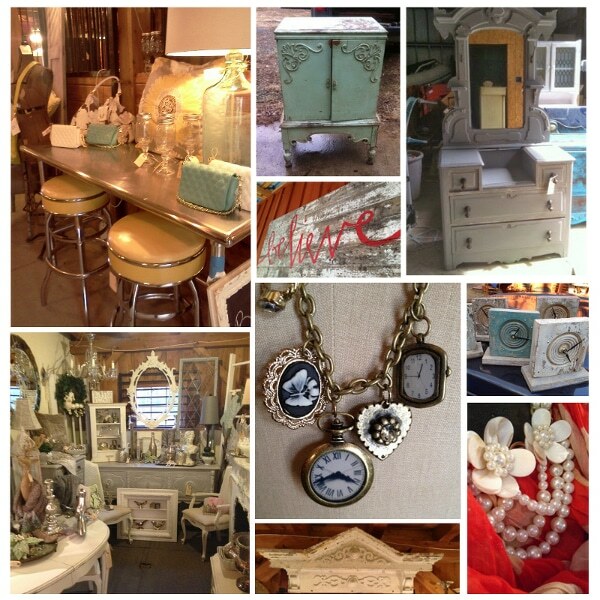 It features a collection of antiques, architectural salvage, vintage goods, unique home decor and gift items. Their next show is April 4th, 5th and 6th and Melinda and I will be there to check it out. We contacted The Barn Show to find out a little more about them and Gail Kramer was kind enough to answer some questions for us. Q: When was the Barn Show started? Gail: Maria Nucci and Pam Michienzi started The Barn with a few other women nine years ago. Gail: There are seven of us: Maria Nucci, Pam Michienzi, Kari Dorshow, Kenny Knopf, Calvin Roebuck, Gregg Fernandez and myself (Gail Kramer). Q: Does everyone scout for pieces or are there different roles? Gail: It’s definitely a collaborative effort and we all count on each other to support and inspire one another when we are creating each show. It works really well because on any given day one of us will have an idea for a vignette that gets our creative juices flowing and the next thing you know we’ve created an entire room around the idea. We also mix everyone’s finds together to create rooms/vignettes which works really well because by doing so we get fabulous results. For instance, someone will bring in an old farm table, and someone else will bring in an awesome crystal chandelier and when the two elements are combined it creates a really interesting and beautiful design statement. In terms of roles, all of us pretty much do everything around the barn, i.e., cleaning, organizing, coming up with themes, etc., we’re actually a pretty creative bunch and we work well together. While everyone decorates, Pam Michienzi is really our chief merchandiser – she has an incredible eye. Kenny Knopf is our resident handyman – he can do anything, i.e., lighting, construction, hanging 100 pound mirrors, etc., and we couldn’t do it without him! Gregg and Calvin are the muscles around the barn on any given work day and are both invaluable during the shows – Gregg manages the wrapping station, Calvin excels at customer service. Kari Dorshow is by far the most creative member of the crew and is truly an artist with unlimited ideas. Maria is definitely the calmest one in the group and is an eternal optimist. She has a knack for finding something for everyone and manages the cashier station at each show. I manage all of the communication – the website, Facebook, email, phone calls, etc. Q: Do you all work together or find pieces separately? Gail: We actually work both ways. All of us bring in pieces independently but we also go on buying trips together, which are always a lot of fun! Q: How far do you travel to find items for the show? Gail: Well Maria was in Florida for an extended vacation, Kari ended up joining her, and they ended up buying so much for the barn they had to hire a driver and moving van to drive it all up to Maryland. We actually shop all over the place and travel near and far. I go to the Antique Extravaganzas in Mt. Dora, Florida and in Springfield, Ohio and also to the Country Living Fair in Columbus, Ohio every year on buying trips. I’m heading up to Brimfield in Massachusetts in May to shop the shows there. We also have sources in West Virginia, Pennsylvania, Delaware, New Jersey, Atlanta, and Canada who pick for us. Q: Is there a certain style you look for? Gail: All of us have our own style, i.e., I’m The Barn’s “industrial” girl, Calvin typically buys very traditional items, Kari’s are more artistic and Maria, Gregg and Kenny tend to buy a range of items that appeal to a broad range of customers and Pam is definitely drawn to classic design. Q: Do you buy and refinish pieces or do you just re-sell finished items? Gail: Oh gosh, we wish we only found finished, ready to go items! The truth is we do it all – repair, paint, refinish, repurpose, which is why we’re able to offer really unique finds at affordable prices. Q: Do you sell pieces outside of the show? Gail: We start buying for the next show as soon as one show ends, and so the barn is always filling up and people can call us up to 30 days before each show if they’d like to schedule an appointment to shop The Barn between shows. Q: What happens to items that don’t sell at the show? Do you just save them for the next show? Gail: Anything that doesn’t sell is evaluated as to why it didn’t sell, maybe the color on a dresser wasn’t right, a table was a tad wobbly, etc., and so we’ll either make repairs, repaint or hold on to it for the next show as is. We also have a Flea section at every show where 100% of the money raised is donated to the Mid-Atlantic Cancer Foundation to help support individuals and families affected by cancer. Doesn’t it sound fun?! We’ll be there Saturday so keep an eye on our Instagram for a sneak peek and look for full report next Tuesday. If you check it out post some of your pictures and comments on our Facebook page. We would love to hear what you thought! Friday, April 4th – 9 a.m. – 6 p.m.
Saturday, April 5th – 9 a.m. – 5 p.m.
Sunday, April 6th – 9 a.m. – 5 p.m.
Next Post » Start planning your Easter feast! I went to a barn sale once in Pennsylvania, and this looks that up, but turned up a notch!! So cool. It is pretty awesome they find some beautiful pieces!